There are no fewer than eight college football bowls that have completely abandoned any pretense of respecting tradition. The name of the bowl is isomorphic with the name of the sponsoring company. Sure, some bowls give a nod to tradition by appending the name of the sponsor to the historical name, such as the Allstate Sugar Bowl or the Discover Orange Bowl. But even in those cases, the sponsor is listed before the bowl itself. But the MJ4MF Bowl will be different than the others. There have to be rules. My rules. Finally, teams will not have to meet the onerous NCAA bowl eligibility requirements to participate in the MJ4MF Bowl. Why does a team need six wins to be bowl eligible, anyway? That just means they’ll demand a big pay-out, and unless a rich, eccentric math geek buys a million copies of Math Jokes 4 Mathy Folks in the next week, well, that’s just not gonna happen. Two exciting teams are currently sought to play in the inaugural MJ4MF Bowl. Notre Dame and Alabama are required to play for the national championship, and the likes of Georgia, Kansas State, and Nebraska have already agreed to other bowl games… but surely the Golden Eagles of Southern Miss (0-12) and the Akron Zips (1-11) are available, no? 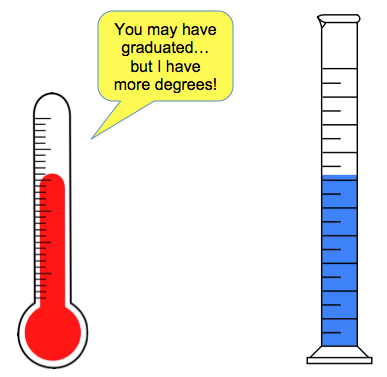 Super Bowl week seems an appropriate time to share some jokes that involve football and math. What do you call a Patriots fan with half a brain? What did the average Giants player get on his Wonderlic test? 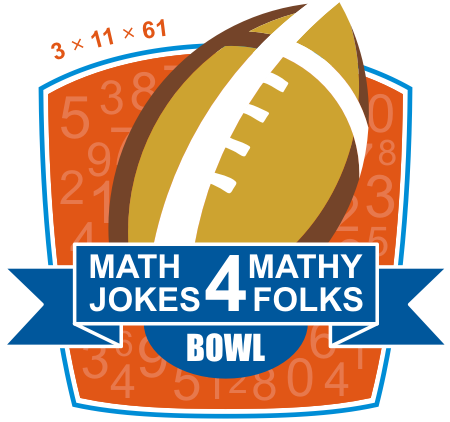 There are several one-liners involving football and math (sort of). 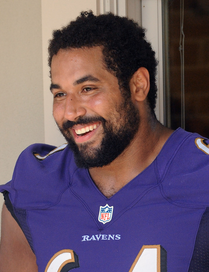 Pro football players are so huge, it takes only four of them to make a dozen. Their nickel defense is only worth 3¢. His uniform number was 29, which was also his house number. He wore it to make sure he remembered where to go after the game. By the time Bubba arrived to the football game, the first quarter was almost over. “Why are you so late?” his friend asked. For a similar, non-football coin-tossing joke, read the one about the student at the final exam.